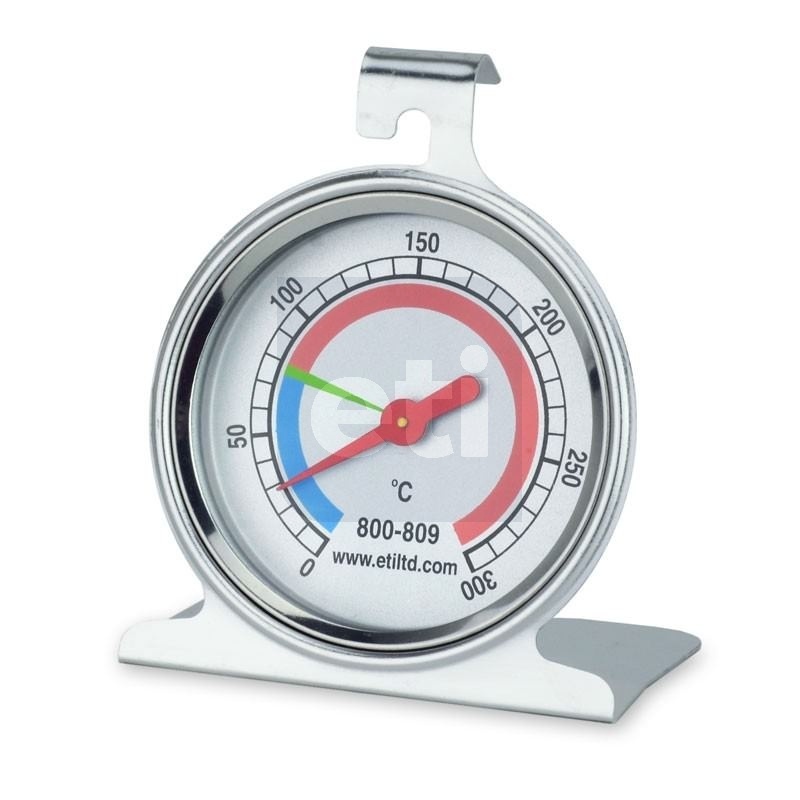 Stainless steel oven thermometer featuring a clear Ø55mm dial with colour-coded zones. 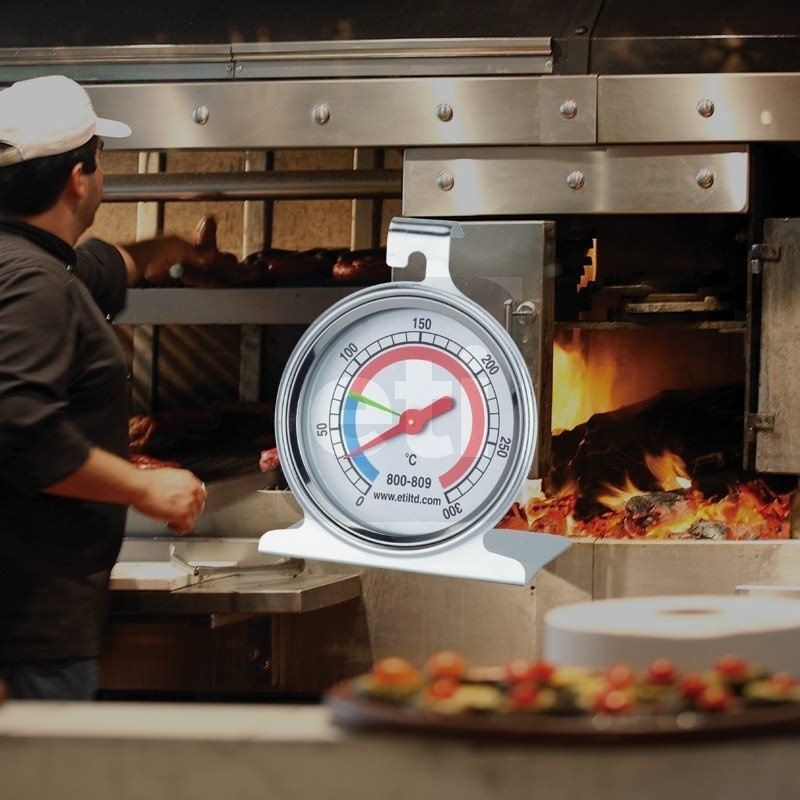 The green marker indicates the minimum temperature that commercial hot food display units should be kept at. 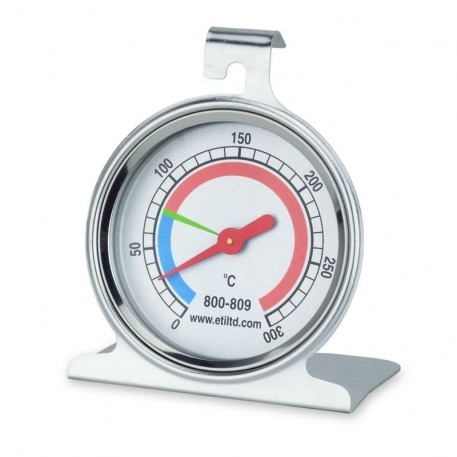 The oven thermometer indicates temperature over the range of 0 to 300°C in 10°C divisions. The case measures 43 x 66 x 80mm.